Elegant Belle Epoque diamond ring: Description by Adin Antique Jewelry. 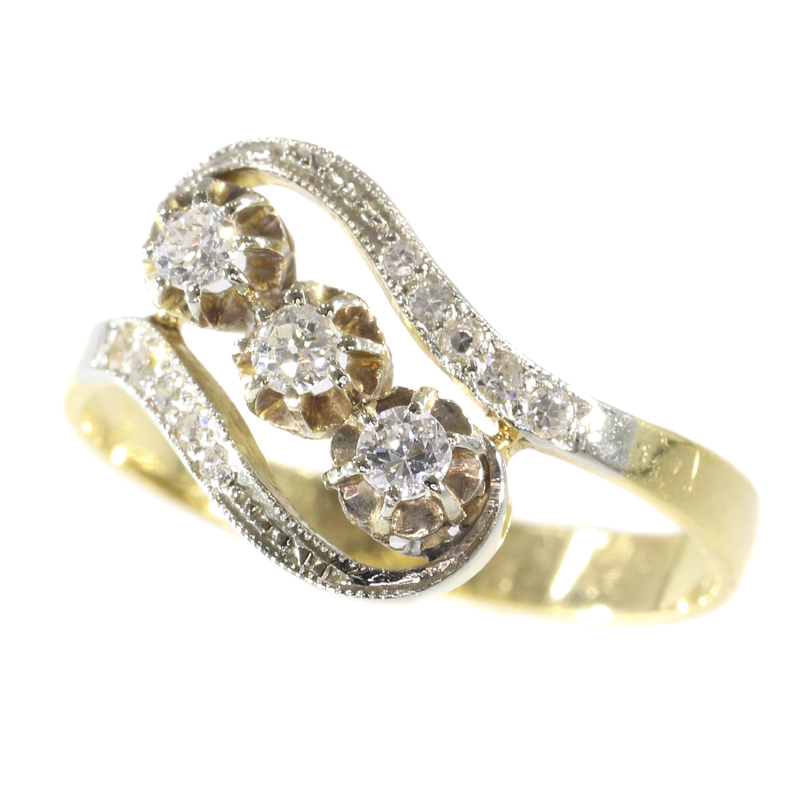 Edwardian 3-stone gold ring gold ring with three old European cut diamonds in openwork illusion setting, mounted diagonally in a gracefully scrolling and tapering shank set with ten single brilliant cut diamonds. Diamonds: Three old European cut diamonds with a total estimated weight of approx. 0.23 crt. and ten single brilliant cut diamonds (also called 8/8) with a total estimated weight of approx. 0.14 crt. Total diamond weight: approx. 0.37 crt. Engraving: at the inside remains of a date that ends with "9 - 98" and the beginning of a name that starts with a "M"